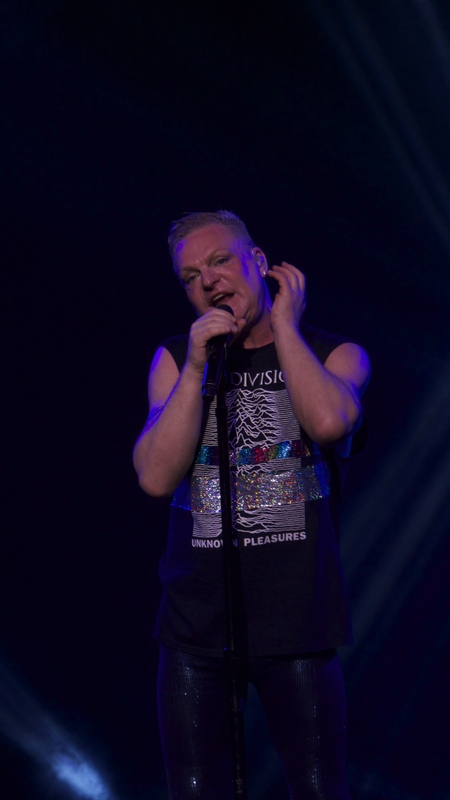 Erasure is the synth-pop duo of Vince Clarke (keyboards) and Andy Bell (vocals.) 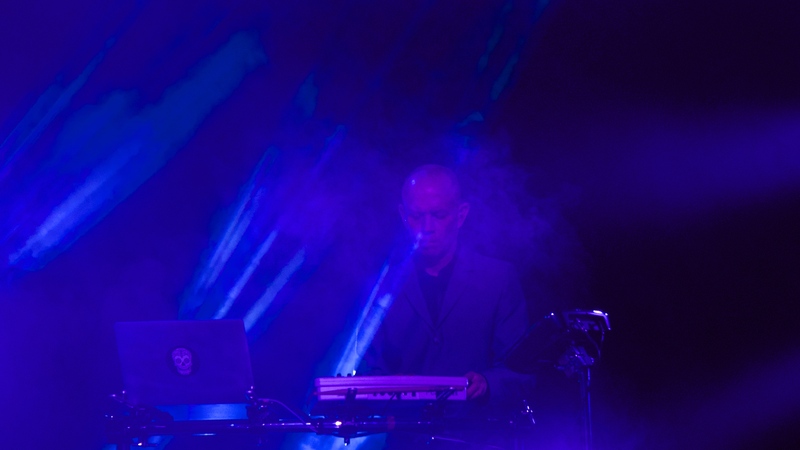 Vince is the founder of three of the most famous all-synth bands of our times – Depeche Mode, Yazoo (Yaz in the states) and Erasure. In the 80’s these bands lured me away from the keyboard driven progressive rock artists I loved in the 70’s and extended my collection immensely. And, being a big fan of lead singers with personality, I found Andy to be a gem of Britain with his tremendous vocal range, charming tones, and energetic stage presence. 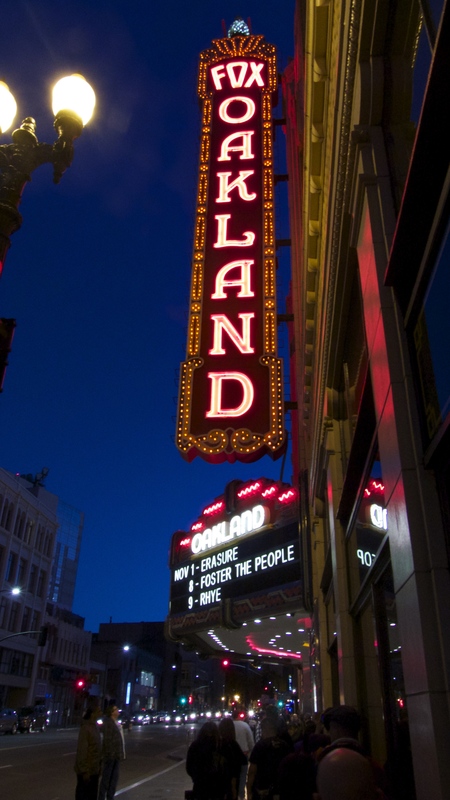 The duo recently had the chance to showcase their new work “The Violet Flame” in concert at the Fox Theater in Oakland, California on November 1st 2014. To really appreciate this music you’ve got to experience it live in concert. Vince is known for his use of pre-MIDI analogue synthesizers and sequencers, and nothing beats the warm sound of these instruments cranked up to massive volumes. In concert he remains fairly stationary, twiddling knobs from behind his machinery looking very serious. The only exception to this I’ve seen was his inclusion in the synchronized runway dance during the “Abba-esque” segment for the Chorus tour. 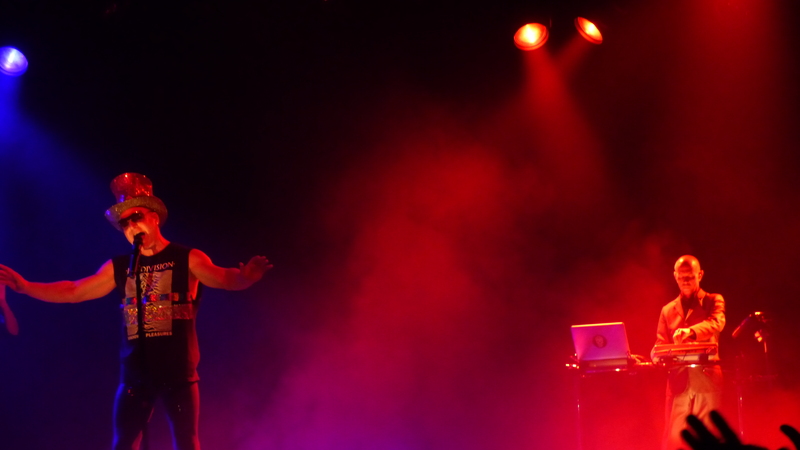 The real treat in concert is singer Andy Bell, who flirts with the audience, dressing in exotic risqué costumes, delivering his soaring vocals with pitch perfect precision. 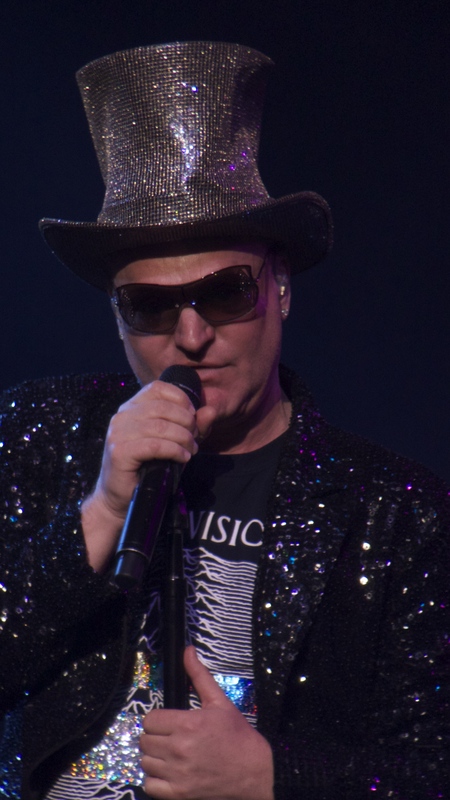 He has been on top of his game every time I’ve seen them, with the highlight being the Chorus tour, nicely documented in the video “The Tank, The Swan, and the Balloon Live,” and including their most elaborate staging outside the “Wild!” and “Cowboy” tours. Other standouts from the group’s catalog include “Drama” and “Blue Savannah” from Wild! (1989), and “I Love to Hate You” and “Breath of Life” from Chorus (1991). Their releases since the 90’s have all been solid, but their new album, The Violet Flame (2014) is far better than might be expected – all their trademark flourishes are included within a dance heavy mix fronted by Andy’s still pliant voice. So it was with great expectations that we attended the show Saturday night. Vince played his typical role – mostly standing calmly behind a small tabletop of electronics and laptop – while Andy led the procession all vamp and vigor, backed by their two long-time female vocalists. The staging was a bit sparse – just glossy black flooring and dance club lighting –no props or elaborate costumes for the players. Prior tours have been more elaborately staged, with a bit more going on visually, and that added to the overall experience. But the focus here was the music, with new interesting mixes Vince prepared, and Andy’s performance, which is nothing less than amazing. Though it’s been 30 years since they started out, he is still a powerful and charismatic stage presence, with soaring vocal range and sassy dance moves still intact. A very entertaining night from these masters of all things breathy and electronic!